It is high handedness of these companies that they charge for paper carry bags with their logos embossed on it. This post is a part of our Public Awareness campaign. 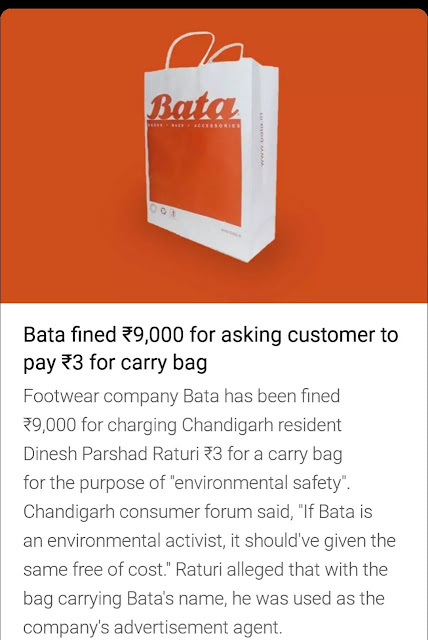 Moreover as a part of corporate social responsibility they should make paper carry bags free for the client as the items need to be carried from shop to home. I think this is a action by consumer forum in correct direction and may send a correct message to these erring companies who are overcharging clients.